A Higher Loyalty by James Comey is a memoir spanning from Comey’s childhood to his days post FBI. What many believe to be a book based on bashing Donald Trump, because of his abrupt firing of Comey in May last year, turns out to be more about leadership, more specifically how to be an ethical leader, and how not to be. 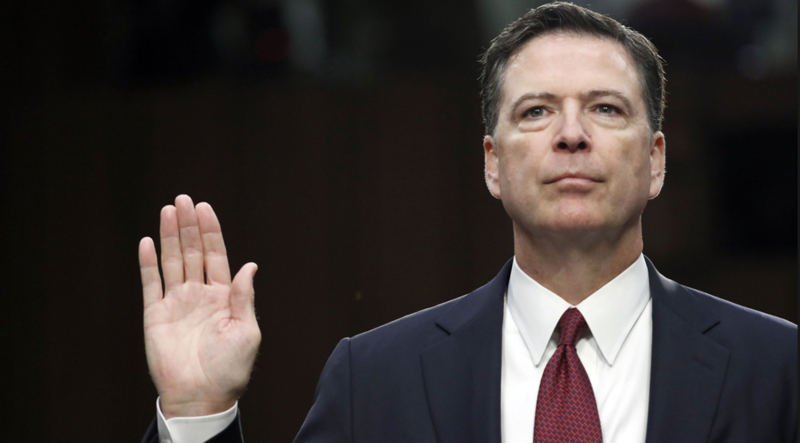 With Comey spending much of his life in the White House he has grown accustomed to being around leaders, he served the Bush, Obama and finally the Trump administration and compares and contrasts the differences between each. This book is an inside look at how certain factions within the U.S. government function and how they have evolved throughout the three administrations. What really gives this book life is the high regard that Comey places on truth. As an FBI Director I expected as much from him going in, but what I actually received was a surprise: in the best way. Comey actually remembers and is haunted by the lies that he has told. Even when they seem insignificant. For example, Comey stands at 6’8, naturally because of his height people often ask him if he played basketball in school. Because of a mix of being a late-bloomer and a knee injury, he did not. However, he hated having to explain to people why, so instead he lied and told everyone that he did play in school. He hated that he was lying, and you can see in the way that he writes about it that he is deeply ashamed of what he did. After some time he emailed all of the people he lied to and told them that he actually never played basketball. This is just one example of Comey’s ethics. You can see in the way that he thinks and handles situations that he would rather come under fire and risk losing his job than do something that he believes is unethical–and this is exactly what happens. Nearly everyone remembers the Hillary Clinton email fiasco. The FBI investigative case was opened, closed, reopened and re-closed within a little over a year span, and during election time. Comey knew that he would come under rapid fire from both sides, Democrats and Republicans, for re-opening and reclosing the case. But because he and the high ranking members of the FBI deemed that it was the right thing to do ethically he took the bullet–twice–for his belief in protecting what he calls a “reservoir of trust” that the FBI has earned from the American people. Under the three administrations that Comey served it is clear that he respected one leader over the rest: President Obama. One interaction that showed me why. They were to have a short meeting after President Obama announced his nomination for FBI Director. Comey went into the meeting with preconceived notions based on past presidents. Many presidents do not understand how important it is to keep the FBI separate from the White House. Because the FBI is often tasked to investigate the White House, in order to better ensure objectivity in these investigations it is better that the FBI remain disconnected and independent. Obama, however, understood this, and so he hired someone politically different from him–Comey is not a democrat, and also previously served under a republican administration. “‘I don’t want help from the FBI on policy. I need competence and independence. I need to sleep at night knowing the place is well run and the American people protected,”” said president Obama. In addition to his understanding of how important it was that the FBI remain independent of the White House, Obama also showed traits that Comey believes makes a good leader. President Obama was confident enough in himself and his abilities that he was able to show humility to others below him in rank. Comey said that he was “more than willing to discuss things that people weren’t sure he wanted to hear.” It was clear to Comey throughout his time with the Obama administration that Obama was looking for the right answer and wanted to hear everyone’s input to ensure he hadn’t missed something. In contrast, Comey compares Trump’s leadership to the mob. This book more than anything shows Comey’s character, and allowed you to understand the person behind the controversy. I would recommend this book to anyone with an interest in U.S. politics.